Harini joined Watsi on July 17th, 2015. Four years ago, Harini became the 1358th member to automatically support a new Watsi patient every month. Since then, 3,719 more people have become monthly donors! 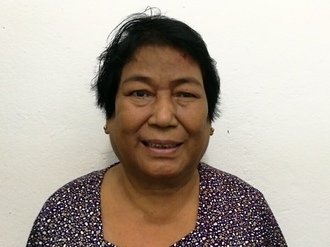 Harini's most recent donation supported Lim, a woman from Cambodia, to fund cataract surgery. Harini has funded healthcare for 45 patients in 10 countries. Lim is a 72-year-old rice farmer from Cambodia. She has seven children and thirty grandchildren, and she enjoys listening to the monks pray on the radio in her free time. 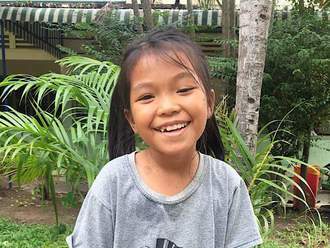 One year ago, Lim developed a cataract in each eye, causing her blurry vision. She has difficulty seeing things clearly, recognizing faces, and going anywhere outside. When Lim learned about our medical partner, Children's Surgical Centre, she traveled for three and a half hours seeking treatment. On March 18, doctors will perform a small incision cataract surgery and an intraocular lens implant in each eye. After recovery, she will be able to see clearly. Now, she needs help to fund this $398 procedure. She says, "I hope that after my surgery, I am able to return to the pagoda and rejoin in the ceremonies, as well as take care of my grandchildren." Eneya is a retired hotel supervisor from Malawi. He spends his days taking care of his two daughters and one grandchild. He enjoys attending church in his free time. For six months, Eneya has been experiencing pain and difficulty urinating. These symptoms are caused by an enlarged prostate, a condition called benign prostatic hyperplasia. He needs to undergo a prostate resection surgery, a procedure in which surgeons will remove part of the enlarged gland. Our medical partner, World Altering Medicine, is requesting $733 to fund Eneya's surgery. On January 17, he will undergo prostate surgery at Nkhoma Hospital, our medical partner's care center. The requested money pays for supplies, medications, and two weeks of hospital stay. He is hopeful that this operation will help him feel better. He says, "I am so happy for this assistance; I will go home and tell my friends about this program, that I have been helped by Watsi at Nkhoma Hospital!" 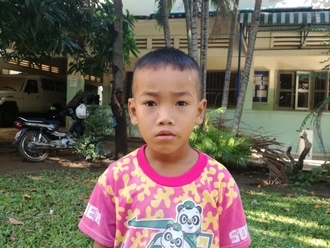 Veha is a boy from Cambodia. He has one sister and one brother. He likes to eat fried fish. He likes studying literature and wants to be a police officer when he grows up. In infancy, he received multiple poorly administered injections in his thigh and buttocks. In time, this has resulted in difficulty walking. He needs to undergo a tendon and nerve procedure to release his knee and allow him to walk normally. Surgery is scheduled for September 6 and will cost $497. His father says, "We are worried about him and he cannot walk well."